Home / Reviews / Product Reviews / Category "Vehicle Reviews"
I think is is in our nature, or perhaps as sign of the times that we are always searching for ways to save money. 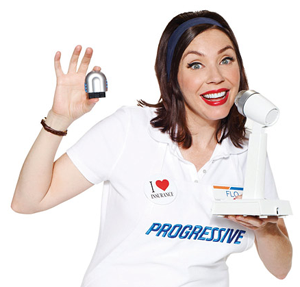 I have joined the Team Flo Progressive Snapshot Test Drive Program. I am test driving the Snapshot for 30 days free in my car and seeing if I can lower my auto insurance. I was honored when I was contacted at the beginning of February by Chevrolet, offering me the opportunity to borrow one of their 2012 vehicles for Spring Break. A whole 7 days in a brand new Chevrolet! They provided me a list of vehicles and I did a lot of research to select the one I thought would work the best for my family, an Equinox…. Hey Buddy!, I found this information for you: "2012 Chevrolet Equinox SUV Review". Here is the website link: http://centraltexasmom.com/chevrolet-in-san-antonio-an-amazing-family-getaway-part-1-chevytexan-bestdayever/. Thank you.